The interaction between deformable drops or bubbles encompasses a number of distinguishing characteristics not present in the interaction between solid bodies. The drops can entrap a thin liquid film of the continuous phase that can lead to a stable film or coalescence. But before leading to either of these outcomes, the film must drain under the influence of an external driving force. This drainage process exhibits all the characteristic features of dynamic interactions between soft materials. For example, the spatial and temporal variations of forces and geometric deformations, arising from hydrodynamic flow, surface forces and variations in material properties, are all inextricably interconnected. Recent measurements of time-varying deformations and forces between interacting drops and bubbles confirmed that dynamic forces and geometric deformations are coupled and provide the key to understand novel phenomena such as the "wimple" in mechanically perturbed films. The counter-intuitive phenomenon of coalescence triggered by separating proximal drops or bubbles can also be elucidated using the same theoretical framework. One approach to modelling such systems is to use a fluid mechanics formulation of two-phase flow for which a number of parametric numerical studies have been made. Another popular approach focuses on describing the thin film between the interacting drops or bubbles with a flat film model upon which a phenomenological film drainage and rupture mechanism has been developed. While both models have a similar genesis, their predictions of the fate of the draining film are quite different. Furthermore, there have been few quantitative comparisons between results obtained from many different experimental approaches with either theory. One reason for this is perhaps due to difficulties in matching experimental parameters to model conditions. A direct attempt to model dynamic behaviour in many experimental studies is challenging as the model needs to be able to describe phenomena spanning six orders of magnitude in length scales. 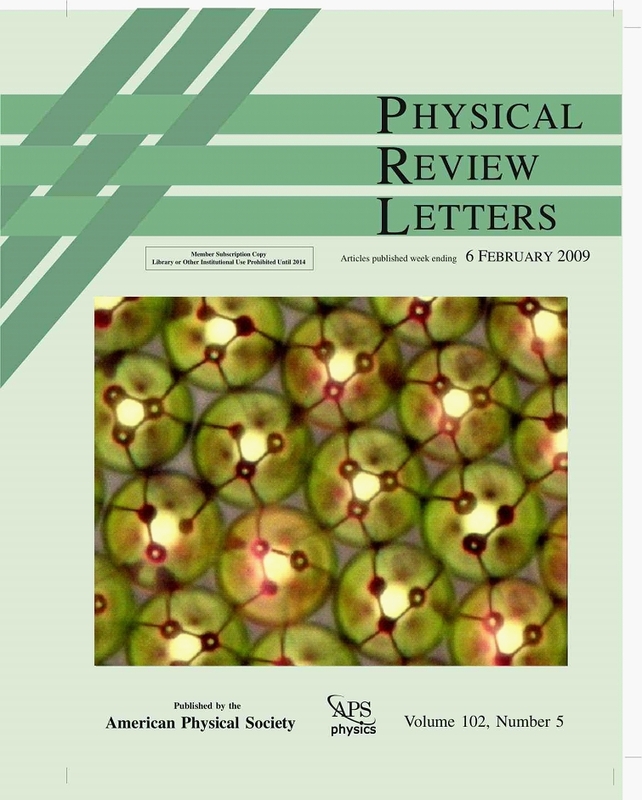 However, with the recent availability of accurate experimental studies concerning dynamic interaction between drops and bubbles that use very different, but complementary approaches, it is timely to conduct a critical review to compare such results with long-accepted paradigms of film stability and coalescence. This topic involves the coupling of behaviour on the millimetre–micrometre scale familiar to readers with an engineering and fluid mechanics background to phenomena on the micrometre– nanometre scale that is the domain of the interfacial science and nanotechnology community. Experimental results of the kinetics of drainage of the trapped water film between an approaching air bubble and a quartz plate have been analysed using recent theoretical advances in formulating and solving the flow problem in deformable films. Excellent agreement is obtained between experimental data and a model that assumes the bubble–water interface is tangentially immobile in its hydrodynamic response. The coupling between hydrodynamic pressure, disjoining pressure and film deformation is critical in determining the dynamic behaviour of the drainage process. The Reynolds parallel film model that omits the effects of film deformation predicts results that are qualitatively incorrect. A model for the unsteady rise and deformation of non-oscillating bubbles under buoyancy force at high Reynolds numbers has been implemented using a boundary element method. Results such as the evolution of the bubble shape, variations of the transient velocity with rise height and the terminal velocity for different size bubbles have been compared to recent experimental data in clean water and to numerical solutions of the unsteady Navier–Stokes equation. The aim is to capture the essential physical ingredients that couple bubble deformation and the transient approach towards terminal velocity. This model requires very modest computational resources and yet has the flexibility to be extended to more general applications. Dynamic force measurements have been made between an oil drop and a silica particle in surfactant and sucrose solutions with viscosities that range up to 50 times that of water. These conditions provide variations in the shear rate and the relative time scales of droplet deformation and hydrodynamic drainage in a soft matter system. The results obtained indicate that soft deformable boundaries have a natural response that limits the maximum shear rate that can be sustained in thin films compared to shear rates that can be attained in films bounded by rigid boundaries. In addition, to extend boundary slip studies on rigid surfaces, we use a smooth deformable droplet surface to probe the dependence of the boundary slip on fluid viscosity without the added complications of surface roughness or heterogeneity. Imposing a Navier slip model to characterize possible slip at the deformable oil-sucrose solution interface gives results that are consistent with a slip length of no larger than 10 nm over the range of solution viscosity studied, although an immobile (zero slip length) condition at the oil-sucrose solution interface is perfectly adequate. In high viscosity solutions, cantilever motion at high scan rates induces a significant cantilever deflection. A method has been developed to account for this effect in order to extract the correct dynamic force between the deformable drop and the particle. A model has been developed to describe the collision and possible coalescence of two driven deformable drops in the Hele–Shaw cell. The interdependence between hydrodynamic effects and interfacial deformations is characterised by a film capillary number. Numerical solutions of the model demonstrate the importance of the full dynamic history of the interacting drops in determining stability or coalescence. The geometry of the Hele–Shaw cell allows for the possibility of using the model to infer the time-dependent force between colliding drops by measuring their separation. We interpret recent measurements of time-varying interference fringe intensities observed between rising bubbles (diameter 15-120 μm) and a horizontal hydrophilic titania plate to determine the rate of approach of such bubbles to the surface. The bubbles remain spherical because of high Laplace pressures and small buoyancy forces so the approach velocity remains in the Stokes flow regime. The rate of approach of the bubble to the titania plate is controlled by buoyancy force and surface forces such as van der Waals and electric double layer interactions together with a hydrodynamic force arising from the drainage of the thin water film between the bubble and the titania surface. The dynamics are found to be consistent with the no-slip hydrodynamic boundary condition at the surface of the bubble and at the titania plate. However, far from the titania plate the terminal velocities of the rising bubbles suggests that the bubble surfaces are fully mobile with zero tangential stress. The retardation of the interfacial velocity due to the presence of surface-active species is a key feature that determines the magnitude of the dynamic interaction force between colliding bubbles. Here we derive simple measures to quantify the influence of a surface-active species during a head-on collision between bubbles to be used as guidelines in the design and analysis of emulsion stability and related experiments. These measures are derived from a theoretical model that was found to be consistent with experiment and are shown to characterize the interfacial dynamics without the need to use numerical analysis. It is shown that a surface mobility may change with the geometry of the film between the bubbles for a specific amount of a surface-active species. However, small amounts of surface-active species are sufficient to immobilize the interfaces under most physical conditions as found in earlier studies. The interaction between moving bubbles, vapor voids in liquid, can arguably represent the simplest dynamical system in continuum mechanics as only a liquid and its vapor phase are involved. Surprisingly, and perhaps because of the ephemeral nature of bubbles, there has been no direct measurement of the time-dependent force between colliding bubbles which probes the effects of surface deformations and hydrodynamic flow on length scales down to nano- meters. Using ultrasonically generated microbubbles (∼100 μm size) that have been accurately positioned in an atomic force microscope, we have made direct measurements of the force between two bubbles in water under controlled collision conditions that are similar to Brownian particles in solution. The experimental results together with detailed modeling reveal the nature of hydro- dynamic boundary conditions at the air/water interface, the importance of the coupling of hydrodynamic flow, attractive van der Waals–Lifshitz forces, and bubble deformation in determining the conditions and mechanisms that lead to bubble coalescence. The observed behavior differs from intuitions gained from pre- vious studies conducted using rigid particles. These direct force measurements reveal no specific ion effects at high ionic strengths or any special role of thermal fluctuations in film thickness in triggering the onset of bubble coalescence. We introduce a lateral atomic force microscopy (AFM) method to measure the hydrodynamic drag force acting on a microscopic emulsion droplet moving parallel to a flat surface. A tetradecane oil droplet formed in an aqueous solution of sodium dodecylsulfate was attached to a V-shaped atomic force microscopy cantilever, and lateral hydrodynamic interactions between the droplet and a flat glass surface were measured using a range of scanning velocities. The droplet was positioned either far from the oscillating surface or was pressed to the surface under a constant applied load. These measurements demonstrate the feasibility of using AFM to study lateral hydrodynamic interactions and lubricity between soft matter materials relevant to a large number of applications in areas as diverse as flavor delivery in foods to the applications of emulsions or emollients in personal care products. * Highlighted in A*STAR Research 3 February 2010. * Highlighted in Nanotechnology Now 2010. We investigate the properties of latex particle templates required to optimize the development of ordered liquid bridge networks in evaporative lithography. These networks are key precursors in the assembly of solutions of conducting nanoparticles into large, optically transparent, and conducting microwire networks on substrates (Vakarelski, I. U.; Chan, D. Y. C.; Nonoguchi, T.; Shinto, H.; Higashitani, K. Phys. Rev. Lett., 2009, 102, 058303). An appropriate combination of heat treatment and oxygen plasma etching of a close-packed latex particle monolayer is shown to create open-spaced particle templates which facilitates the formation of ordered fully connected liquid bridge networks that are critical to the formation of ordered microwire networks. Similar results can also be achieved if non-close-packed latex particle templates with square or honeycomb geometries are used. The present results have important implications for the development of the particulate templates to control the morphology of functional microwire networks by evaporative lithography. We used atomic force microscopy to study dynamic forces between a rigid silica sphere (radius ~45 mm) and a silica nano-particle super-hydrophobic surface (SNP-SHS) in aqueous electrolyte, in the presence and absence of surfactant. Characterization of the SNP-SHS surface in air showed a surface roughness of up to two microns. When in contact with an aqueous phase, the SNP-SHS traps large, soft and stable air pockets in the surface interstices. The inherent roughness of the SNP-SHS together with the trapped air pockets are responsible for the superior hydrophobic properties of SNP-SHS such as high equilibrium contact angle (>140º) of water sessile drops on these surfaces and low hydrodynamic friction as observed in force measurements. We also observed that added surfactants adsorbed at the surface of air pockets magnified hydrodynamic interactions involving the SNP-SHS. The dynamic forces between the same silica sphere and a laterally smooth mica surface showed that the fitted Navier slip lengths using the Reynolds lubrication model were an order of magnitude larger than the length scale of the sphere surface roughness. The surface roughness and the lateral heterogeneity of the SNP-SHS hindered attempts to characterize the dynamic response using the Reynolds lubrication model even when augmented with a Navier slip boundary. The terminal velocity of rising microbubbles is a sensitive function of the bubble size and the surface concentration of mobile insoluble surfactants at the gas/liquid interface due to the Marangoni effect. With a model that allows for surface convection and diffusion, we delineate the regimes when the terminal velocity varies between the fully mobile (Hadamard-Rybczynski) and the fully immobile (Stokes) behavior at low Reynolds numbers. Results are presented in a universal form to facilitate conversion from bubble rise terminal velocity to trace amounts of surface contaminants. The ability of soft matter such as drops and bubbles to change shape dynamically during interaction can give rise to counter-intuitive behaviour that may be expected of rigid materials. Here we show that dimple formation on approach and the possibility of coalescence on separation of proximal drops in relative motion are examples of this general dynamic behaviour of soft matter that arises from the coupling between hydrodynamic forces and geometric deformations. The film capillary number is the key parameter that determines different behavior and depends on viscosity, interfacial tension, the Laplace radius, characteristic film thickness and velocity. A model that has been shown to give very accurate predictions of dynamic forces between deformable emulsion drops and bubbles is used to quantify the effects of internal flow and viscosity ratio on the hydrodynamic interaction in such systems. The results demonstrate that direct force measurement using an atomic force microscope can readily differentiate whether the interfaces of drops of different viscosities respond as immobile (no-slip) or fully mobile (no tangential shear stress) boundaries. * Selected as Editor's Suggestion and front cover for the issue. * Feature article in the American Institute of Physics Virtual Journal of Nanoscale Science & Technology Vol 19 Iss 7, 16 February 2009. * Highlighted in the American Physical Society Physics - Spotlighting Exceptional Research 2009. * Featured in New Scientist p20, 28 February 2009. Large interconnected gold wire structures (~cm2) of different topologies have been made by the drying of a gold nanoparticle suspension that has formed a connected network of liquid bridges in the interstices between a 2D crystalline layer of latex particles and a substrate. Slow evaporation of the suspending medium assembles the nanoparticles into a periodic or disordered conducting network of micrometer thick gold wires on the substrate. The presence of surfactants in the suspension is critical to maintaining the stability of the liquid bridge network during the evaporation process. A bubble attached to the end of an atomic force microscope cantilever and driven toward or away from a flat mica surface across an aqueous film is used to characterize the dynamic force that arises from hydrodynamic drainage and electrical double layer interactions across the nanometer thick intervening aqueous film. The hydrodynamic response of the air/water interface can range from a classical fully immobile, no-slip surface in the presence of added surfactants to a partially mobile interface in an electrolyte solution without added surfactants. A model that includes the convection and diffusion of trace surface contaminants can account for the observed behavior presented. This model predicts quantitatively different interfacial dynamics to the Navier slip model that can also be used to fit dynamic force data with a post hoc choice of a slip length. Accurate measurements and modelling of time-dependent defor- mations of colliding liquid drops demonstrate the need to account for drop deformation and film drainage with appropriate initial and boundary conditions and reveal significant quantitative differences with the Stefan–Reynolds flat film model of drop coalescence. Variations in the mechanical properties of nominally identical V-shaped atomic force microscope (AFM) cantilevers sourced from the same silicon nitride wafer have been quantified by measuring the spring constants, resonant frequencies and quality factors of 101 specimens as received from the manufacturer using the thermal spectrum method of Hutter and Bechhoefer. The addition of thin gold coatings always lowers the resonant frequency but the corresponding spring constant can either increase or decrease as a result. The observed broad spread of spring constant values and the lack of correlations between the resonant frequency and spring constant can be attributed in part to the non-uniformity of composition and material properties in the thinnest dimension of such cantilevers which arise from the manufacturing process. The effects of coatings are dictated by the competing influence of differences in mass density and Young’s modulus between the silicon nitride and the gold coating. An implication of this study is that cantilever calibration methods based on the assumption of uniformity of material properties of the cantilever in the thinnest dimension are unlikely to be applicable for such cantilevers. Solvent extraction processes are widely used to purify, recover or recycle solutes, by transferring it from an aquesous to an organis phase. In these processes. the direct contact between the two liqiuids at the oil-water interfaces is an important factor. Increasling the interfacial areas by drop breaksge and fast deoplet coalescence will lead to an enhancement in process efficiency. Controlling the interaction between droplets and the forces acring at liquid-liquid interfaces is required, but they are not well understood and theor direct measurements remain a challenge. In this article we review recent experimental techniques use to measure forces at liquid-liquid interfaces. Dynamic forces between a deformable tetradecane oil drop (radius of curvature ~ 25 µm) anchored on the cantilever of the Atomic Force Microscope (AFM) and similar oil drops (radii of curvature 80 to 500 mm) on the substrate in aqueous electrolyte with added sodium dodecyl sulfate surfactant have been studied. Measurements were made over a range of scan rates that span the range of Brownian velocities of such emulsion drops. The adsorbed anionic surfactants impart a stabilising electrical double layer repulsion between the drops so coalescence was not observed under present conditions. Force–displacement data follow reversible trajectories at low scan rates (<0.5 µm/s) but exhibit increasingly large hysteric effects for scan rates up to 30 µm/s. The coupling between deformations of the interacting drops and deflections of the AFM cantilever at high scan rates facilitates a self-consistent and independent estimate of the cantilever spring constant if one models variations of cantilever deflection with piezo displacement. In addition to giving excellent agreement between predicted and measured dynamic forces, our model also furnishes quantitative information about: variations of the force with interfacial separation, deformations and velocities of interfaces, pressure distributions in the aqueous film between the drops as well as the absolute separation between the interacting drops. A new dimpling phenomenon is inferred to occur when interacting drops are being separated after the formation of a flattened aqueous film. These new capabilities in the evaluation and interpretation of AFM force measurements overcome a major limitation in the use of the AFM for the absolute quantification of force–separation data. Here we introduce a simple and effective experimental approach to measuring the interaction forces between two small bubbles (∼80-140 μm) in aqueous solution during controlled collisions on the scale of micrometers to nanometers. The colloidal probe technique using atomic force microscopy (AFM) was extended to measure interaction forces between a cantilever-attached bubble and surface-attached bubbles of various sizes. By using an ultrasonic source, we generated numerous small bubbles on a mildly hydrophobic surface of a glass slide. A single bubble picked up with a strongly hydrophobized V-shaped cantilever was used as the colloidal probe. Sample force measurements were used to evaluate the pure water bubble cleanliness and the general consistency of the measurements. Soft matter deforms in response to imposed external forces. Here we demonstrate how dynamic surface forces are linked to far-field deformations. This offers a new paradigm for determining forces between soft particles in colloidal systems. The particular example we use to illustrate this concept is that of a fluid drop interacting with a solid wall through hydrodynamic drainage flow coupled with repulsive or attractive dissimilar electrical double layer interactions. The force can be deduced from a simple analysis of the drop surface geometry outside the interaction zone. The dynamic interaction forces between a solid silica particle and an immobilized tetradecane droplet have been measured using atomic force microscopy. The dominant colloidal forces are repulsive electrical double layer interactions due to the partitioning of added sodium dodecyl sulfate to the deformable oil/water (O/W) interface. Over a range of drive velocities up to 50 μm/s, these colloidal forces, plus hydrodynamic interactions due to fluid flow in the aqueous film (∼22 nm thick) between the particle and O/W interface, as well as deformations of the interface, contribute to the overall dynamic force between the silica particle (radius ∼12 μm) and tetradecane drop (radius of curvature ∼55 μm). Within the tolerance of experimental parameters, excellent agreement is observed between the measured forces and those predicted by a theory that accounts for the above phenomena. The theory also furnishes details not directly measurable, such as the time-dependent deformations and velocities of the O/W interface and variations of the thickness of the aqueous film between the particle and the drop during the course of the experiment. This article reports real-time observations and detailed modeling of the transient response of thin aqueous films bounded by a deformable surface to external mechanical and electrical perturbations. Such films, tens to hundreds of nanometers thick, are confined between a molecularly smooth mica plate and a deformable mercury/electrolyte interface on a protuberant drop at a sealed capillary tube. When the mercury is negatively charged, the water forms a wetting film on mica, stabilized by electrical double layer forces. Mechanical perturbations are produced by driving the mica plate toward or by retracting the mica plate from the mercury surface. Electrical perturbations are applied to change the electrical double layer interaction between the mica and the mercury by imposing a step change of the bias voltage between the mercury and the bulk electrolyte. A theoretical model has been developed that can account for these observations quantitatively. Comparison between experiments and theory indicates that a no-slip hydrodynamic boundary condition holds at the molecularly smooth mica/electrolyte surface and at the deformable mercury/electrolyte interface. An analysis of the transient response based on the model elucidates the complex interplay between disjoining pressure, hydrodynamic forces, and surface deformations. This study also provides insight into the mechanism and process of droplet coalescence and reveals a novel, counterintuitive mechanism that can lead to film instability and collapse when an attempt is made to thicken the film by pulling the bounding mercury and mica phases apart. * Feature article in the American Institute of Physics Virtual Journal of Nanoscale Science & Technology Vol 17 Iss 11, 17 March 2008. * Feature article in the American Institute of Physics Virtual Journal of Nanoscale Science & Technology Vol 16 Iss 22, 26 November 2007. A simple and accurate experimental method is described for determining the effective cantilever spring constant and the detector sensitivity of atomic force microscopy cantilevers on which a colloidal particle is attached. By attaching large (approximately 85 µm diameter) latex particles at various positions along the V-shaped cantilevers, we demonstrate how the normal and lateral spring constants as well as the sensitivity vary with loading position. Comparison with an explicit point-load theoretical model has also been used to verify the accuracy of the method. Recent advances in atomic force microscopy (AFM) force measurement techniques have allowed the direct measurement and theoretical interpretation of the interaction between a liquid droplet and a solid surface or between two liquid droplets. In this study, we investigated the interaction across an aqueous thin film between fluorocarbon (perfluoropentane) droplets, hydrocarbon (tetradecane) droplets, and a droplet and a flat mica surface in the absence of stabilizers. It was found that even at a relatively elevated electrolyte concentration of 0.1 M NaNO3, depending on the solution pH, interactions between two identical droplets or a droplet and a mica surface could be repulsive. A simple theoretical analysis of the magnitude and range of these interactive forces suggests that the DLVO theory cannot explain the observed behavior. The measured force behavior is discussed in the context of ion adsorption, and the arising charging effects, at the bare oil-water interface. A model developed previously to analyze force measurements between two deformable droplets in the atomic force microscope [Langmuir 2005, 21, 2912-2922] is used to model the drainage of an aqueous film between a mica plate and a deformable mercury drop for both repulsive and attractive electrical double-layer interactions between the mica and the mercury. The predictions of the model are compared with previously published data [Faraday Discuss. 2003, 123, 193-206] on the evolution of the aqueous film whose thickness has been measured with subnanometer precision. Excellent agreement is found between theoretical results and experimental data. This supports the assumptions made in the model which include no-slip boundary conditions at both interfaces. Furthermore, the successful fit attests to the utility of the model as a tool to explore details of the drainage mechanisms of nanometer-thick films in which fluid flow, surface deformations, and colloidal forces are all involved. One interesting result is that the model can predict the time at which the aqueous film collapses when attractive mica-mercury forces are present without the need to invoke capillary waves or other local instabilities of the mercury/electrolyte interface. The understanding of static interactions in colloidal suspensions is well established, whereas dynamic interactions more relevant to biological and other suspended soft-matter systems are less well understood. We present the direct force measurement and quantitative theoretical description for dynamic forces for liquid droplets in another immiscible fluid. Analysis of this system demonstrates the strong link between interfacial deformation, static surface forces, and hydrodynamic drainage, which govern dynamic droplet-droplet interactions over the length scale of nanometers and over the time scales of Brownian collisions. The results and analysis have direct bearing on the control and manipulation of suspended droplets in soft-matter systems ranging from the emulsions in shampoo to cellular interactions. Models of surfaces with intrinsic ionisable amphoteric surface sites governed by the dissociation of acid–base potential determining ion species together with the capacity for the adsorption of anion and cations of the supporting electrolyte are required to describe both the results of electrokinetic and titration measurements of inorganic oxides. The Gouy–Chapman–Stern–Grahame (CGSG) model is one such model that has been widely used in the literature. The electrical double layer interaction between two dissimilar CGSG surfaces has been studied by Usui recently [S. Usui, J. Colloid Interface Sci. 280 (2004) 113] where erroneous discontinuities in the slope of the pressure–separation relation were observed. We revisit this calculation and provide a simple general methodology to analyse the electrical double layer interaction between dissimilar ionisable surfaces with ion adsorption. Simulations of polyelectrolytes in low dielectric solvents converge slowly. This can be circumvented by using clothed global moves or parallel expanded techniques. In clothed moves, the counterions are moved with the polyelectrolyte backbone and are not left behind when a substantial part of the chain is moved. For moderately charged systems, the speed-up has been shown to be by a factor of up to 3. We show how for systems with strong electrostatic interactions, much larger efficiency gains in simulations process, by a factor of over 400, can be otained. In our parallel expanded algorithm, a number of conventional Monte-Carlo simulations are carried out in parallel, with only the dielectric constant being different. By allowing the different simulations to communicate and exchange conformations, trapped configurations in low dielectric simulations can escape via the high dielectric simulations. We show how this method scales linearly up to 8 processors for highly charged polyelectrolytes. Recent experimental developments enabled dynamical measurement of the force between two moving oil drops in solution using an Atomic Force Microscope. THe drop sizes (about 40 microns) can velocities (up to 15 microns/s) of the experiments produce a regime where surface force, hydrodynamics and drop deformation are all significant. A detailed model of the experiemnt developed by Carnie, Chan, Dagastine, Lewis and Manica (2004) produces calculated force curves with attractive forces due mainly to hydrodynamic lubrication forces, in agreement with experiments. Details fo the evolution of the drop surface deformations and surface velocity profiles are included in movies accompanying this paper. A feature of the model is the use of a new boundary condition, otained by matched asymtotic expansions, to incorporate the weak deformation at the drop scale into the thin film scale. This boundary condition is necessary to obtain results independent of the computational domain size. It also requires modeling assumptions about the three-phase contact line where the drops meet the solid surfaces of the Atomic Force Microscope. We determine the sensitivity of the calculated force curves to to simple models fo the three-phase contact line motion, and to the assumed vales of the drop/solid contact angle. The effect of adding tetravalent counterions to polyelectrolytes of varying stiffness is investigated by a flat histogram Monte Carlo technique that is capable of giving the free energy of the system by direct simulation. The ensemble average of the polyelectrolyte size decreases with the amount of added salt for all chain stiffness. When examining the size distribution functions, flexible chains have narrow end-to-end distance distribution functions for all amounts of added salt. The distribution functions for semiflexible polyelectrolytes are always broader because such chains fluctuate between stretched and collapsed conformations. For stiff chains, the distribution functions show double maxima, which reflect the fact that individual chains prefer to be in elongated or compact toroid conformations, but not inbetween. This coexistence between compact and elongated conformations for stiff polyelectrolytes, when multivalent salt is added, is manifested in force-extension curves which exhibit a plateau regime in which the chain size changes markedly at a constant force. Recent experimental developments have enabled the measurement of dynamical forces between two moving liquid drops in solution using an atomic force microscope (AFM). The drop sizes, interfacial tension, and approach velocities used in the experiments are in a regime where surface forces, hydrodynamics, and drop deformation are all significant. A detailed theoretical model of the experimental setup which accounts for surface forces, hydrodynamic interactions, droplet deformation, and AFM cantilever deflection has been developed. In agreement with experimental observations, the calculated force curves show pseudo- constant compliance regions due to drop flattening, as well as attractive pull-off forces due mainly to hydrodynamic lubrication forces. The force between two parallel charged flat surfaces, with discrete surface charges, has been calculated with Monte Carlo simulations for different values of the electrostatic coupling. For low electrostatic coupling (small counterion valence, small surface charge, high dielectric constant, and high temperature) the total force is dominated by the entropic contribution and can be described by mean field theory, independent of the character of the surface charges. For moderate electrostatic coupling, counterion correlation effects lead to a smaller repulsion than predicted by mean field theory. This correlation effect is strengthened by discrete surface charges and the repulsive force is further reduced. For large electrostatic coupling the total force for smeared out surface charges is known to be attractive due to counterion correlations. If discrete surface charges are considered the attractive force is weakened and can even be turned into a repulsive force. This is due to the counterions being strongly correlated to the discrete surface charges forming effective, oppositely directed, dipoles on the two walls. We present a method of parallelizing flat histogram Monte Carlo simulations, which give the free energy of a molecular system as an output. In the serial version, a constant probability distribution, as a function of any system parameter, is calculated by updating an external potential that is added to the system Hamiltonian. This external potential is related to the free energy. In the parallel implementation, the simulation is distributed on to different processors. With regular intervals the modifying potential is summed over all processors and distributed back to every processor, thus spreading the information of which parts of parameter space have been explored. This implementation is shown to decrease the execution time linearly with added number of processors. The interaction force between a rigid silica sphere and a butyl or octyl acetate droplet was measured in an aqueous environment using atomic force microscopy (AFM). The force measurements were performed without added stabilizers and the observed force behavior was found to be dependent on the type of inorganic electrolyte present, where the interfacial tension was constant over the electrolyte concentration range used. Force measurements in the presence of sodium nitrate showed repulsion at all concentrations. Force measurements in the presence of calcium nitrate or sodium perchlorate exhibited an initial repulsion followed by an attraction resulting in a mechanical instability in the AFM cantilever, termed jump-in. The force behavior observed was independent of the water solubility of the organic liquid, in that the same force–distance characteristics were obtained for slightly water soluble butyl acetate and the water sparingly soluble octyl acetate droplets. Modeling of the drop profile during particle–droplet interactions for this type of AFM measurement showed that the force–distance data for the sodium nitrate system obeys typical DLVO interactions. The disagreement between the DLVO predictions for the sodium perchlorate and calcium nitrate systems is attributed to a specific ion effect at the liquid–liquid interface, which gives rise to an attraction force that is greater than the electrostatic double layer repulsion over the length scale of 5 to 10 nm. The factors affecting the nucleation and growth of gold nanorods,(Jana et al.,Adv. Mater. 2001,13,1389) have been investigated. It is shown that the size and aspect ratio can be controlled through the use of different sized seed particles. The length of the rods can be tuned from 25±170 nm, while the width remains almost constant at 22±25 nm. The formation of rods requires the presence of the cationic surfactant cetyltrimethylammonium bromide (CTAB). Lower temperature favors rod formation, although this reduces CTAB solubility. The addition of chloride ions or the use of dodecyltrimethylammonium bromide (DTAB)leads to shorter-aspect rods. AuIII and AuI are shown to be quantitatively bound to the CTAB micelles. We propose an electrochemical mechanism for rod formation, whereby the flux of AuI bound to cationic micelles to the seed surface is maximized at points of highest curvature, where the electrical double layer gradient is highest. Initial numerical solutions to the elec- tric potential and field around an ellipsoid in a 1:1 electrolyte are provided, which indicate that the field at the particle tip scales linearly with the aspect ratio. Mean free passage times for ions are found to be shortest at the tips. The results provide a general explanation for the formation of non-equilibrium crystal habits and a mechanism for controlling crystal growth. The surface and hydrodynamic forces between individual oil droplets in solution can provide insight into both emulsion stability and processes such as drop coalescence in liquid–liquid extraction. We present the first measurements of the interaction forces between alkane droplets in aqueous solution using atomic force microscopy. The radii of the droplets were well below the capillary lengths for the system, thus gravity effects are negligible, and interfacial tension and interaction forces governed the system behavior. The effects of modulating electrostatic double-layer interactions and interfacial tension through the presence of an anionic surfactant are demonstrated. Challenges in interpretation of the force data due to drop deformation are also discussed. A range of drop approach and retract speeds was used to determine the regime where hydrodynamic drainage effects had significant impact on the measurement. The force-extension behavior of charged polymers is investigated by the means of Monte Carlo simulations in the stress ensemble, strain ensemble and by a method which gives the free energy for a chosen range of end-to-end distances. All three methods are equivalent within statistical limits. To focus on the effects of polymer charge on the force-extension curve, we have studied net-neutral polyampholytes as a function of charge block size and polyelectrolytes with neutralizing counterions of various valences. The force-extension curves of polyampholytes with random charge sequences or small charge block sizes or polyelectrolytes with multivalent counterions are similar to force-extension curves for uncharged polymers. Polyampholytes with large charge block sizes can form pearl-necklace structures which give rise to a plateau in the force-extension curve. We discuss a class of models for the evolution of networks in which new nodes are recruited into the network at random times, and links between existing nodes that are not yet directly connected may also form at random times. The class contains both models that produce "small-world" networks and less tightly linked models. We produce both trees, appropriate in certain biological applications, and networks in which closed loops can appear, which model communication networks and networks of human sexual interactions. One of our models is closely related to random recursive trees, and some exact results known in that context can be exploited. The other models are more subtle and difficult to analyze. Our analysis includes a number of exact results for moments, correlations, and distributions of coordination number and network size. We report simulations and also discuss some mean-field approximations. If the system has evolved for a long time and the state of a random node (which thus has a random age) is observed, power-law distributions for properties of the system arise in some of these models. The structural properties and thermodynamics of one- and two-component solutions of charged colloidal particles with explicit counterions have been investigated by Monte Carlo simulation. A boot-strap Poisson–Boltzmann (BSPB) theory has been developed to interpret these results and the accuracy of its predictions is compared with other existing theories. The BSPB was also used to predict the gas–liquid binodal and spinodal curves for a one-component system with colloid charge to counterion-charge ratio Zr = 10. A computationally simple and accurate model is presented for predicting partial structure factors of binary mixtures of electrostatically stabilized colloidal particles. The theory is based on the mean spherical approximation of a binary mixture of hard sphere fluids interacting with a screened Coulomb (Yukawa) potential and a rescaling of the hard sphere sizes of the components. The utility of the approach is tested against data from small-angle neutron scattering experiments and Monte Carlo simulations. Forces between a silica colloidal particle probe and an immobilized decane droplet in a range of surfactant (sodium dodecyl sulfate, SDS) solution concentrations have been measured using the atomic force microscope. Independent measurements of the droplet zeta-potential, colloidal probe surface potential, contact angle, interfacial tension, and probe radius are used as inputs into the interpretive theory developed by Chan et al. (J. Colloid Interface Sci. 2001, 236, 141) to provide a quantitative understanding of the measured forces operating at liquid-liquid interfaces. The theory is used to determine the true separation between the solid and the deformable liquid interface. It provides the link between interfacial deformation and disjoining pressure due to electrical double layer and van der Waals interactions in contributing to the observed force in these experiments. Within experimental error, the theory is able to account for the force vs displacement data obtained from atomic force microscopy measurements. It is shown that, in the presence of SDS, the interaction is always repulsive. As a result of the deformation of the droplet shape, forces up to 5 times larger than those observed between solid surfaces are seen. Variations in the interfacial tension of the deformable droplet have the largest effect on the measured forces. A liquid-gel transition measured for a polymerically stabilized dispersion as a function of solvent quality and particle volume fraction is compared with theoretical predictions of phase behavior. The experimental liquid-gel transition is interpreted from rheological measurements of 360 nm polystyrene (PS) particles with adsorbed F108 Pluronic (PEO-PPO-PEO) layers in aqueous 0.5 M NaCl as a function of temperature, which controls solvent quality for the adsorbed Pluronic. The measured liquid-gel transition occurs at temperatures when attractive interactions are not expected to occur from either core PS particle van der Waals forces or Pluronic mixing interactions. To consider an alternative temperature dependent attraction, an adhesive sphere (AS) phase diagram is constructed using a theoretical potential that includes the solvent quality dependent continuum van der Waals attraction due to the nonuniform dielectric properties of the adsorbed Pluronic. An impressive correspondence is found between the experimental liquid-gel transition and the theoretical AS percolation threshold with no adjustable parameters using the nonuniform film model. This work indicates conditions when adsorbed polymeric van der Waals interactions are critical for interpreting and predicting solvent quality dependent phase behavior in polymerically stabilized systems. The mean spherical approximation (MSA) was used to investigate the phase behavior of charged colloidal systems with and without added salt. The competition between cohesive Coulomb interactions and stabilizing entropic and hard-core interactions controls the stability of the system and under certain circumstances, a liquid–gas-type phase transition can occur. The critical parameters and phase diagrams in the MSA obtained via the internal energy path, are compared with two-component Monte Carlo simulations and other theoretical approaches. A simple, general, and numerically robust algorithm is presented for calculating the disjoining pressure and interaction free energy per unit area between two identically charged flat plates due to electrical double layer interactions according to the nonlinear Poisson-Boltzmann theory. The result is applicable to electrolytes with any number of ionic species having any combination of valencies as well as to constant potential, constant charge, or charge regulation boundary conditions on the plates. The algorithm is very simple to implement on commonly available numerical software en- vironments and is therefore particularly suitable for use in data analysis. Quantitative understanding of the forces acting at liquid-liquid interfaces and how they are influenced by various additives is important in many chemical engineering applications. For example, the control of emulsion stability is a major concern in many commercial products and industrial processes. The measurement of interfacial forces between two surfaces as a function of separation provides direct information on the relationship between effects of specific additives and system stability. The interaction forces between a silica colloidal particle and an immobilized hydrocarbon droplet in an aqueous medium have been measured using the Atomic Force Microscope. Force-distance relationships for an anionic surfactant have been measured over a range of concentrations. A theoretical model that calculates the force between a rigid spherical probe particle (attached to an AFM cantilever) and a liquid interface has been examined. A key parameter in this model, the electrostatic surface potential, was inferred from measurement of electrophoretic mobilities of dispersed oil droplets. The interpretation of an oil droplet’s surface potential from its mobility in an electric filed is the same as for a hard particle, except that the effect of interfacial momentum transfer on the droplet drag coefficient must be considered. Although the theoretical solution for a fluid droplet’s drag coefficient is well known, its experimental measurement is difficult and its interpretation is complicated due to adsorbed surfactant and the possibility of droplet deformation. Interpretation of experimental electrophoretic mobilities requires independent measurements of particle size, shape, and amount of adsorbed surfactant. Electrophoretic mobilities of sodium dodecyl sulfate (SDS)-stabilized decane droplets are converted to zeta-potentials with the aid of light scattering and SDS surface excess measurements. Static light scattering measurements of droplet size and shape in conjunction with dynamic light scattering measurements of droplet diffusion are used to determine the droplet hydrodynamic mobility coefficient. For the SDS concentrations used here between 0.01 and 1 mM SDS, the droplet’s mobility coefficient is consistent with the droplet being a nondeformable, solid, spherical particle with no interfacial momentum transfer. The decane droplets display decreasing monodisperse radii with increasing bulk SDS concentration. The percent ionization of the SDS, or degree of counterion binding, is considered by comparing the charge corresponding to the measured zeta-potentials with the charge due to the SDS surface excess inferred from interfacial tension data. After the droplet hydrodynamic mobility coefficient and percent ionization of the interfacial SDS are considered, zeta-potentials for the SDS concentrations studied are found to be between -100 and -125 mV.